Q & A with Evan Boorman, CEO of the 3-year-old company that aims to teach kids coding and STEAM skills. 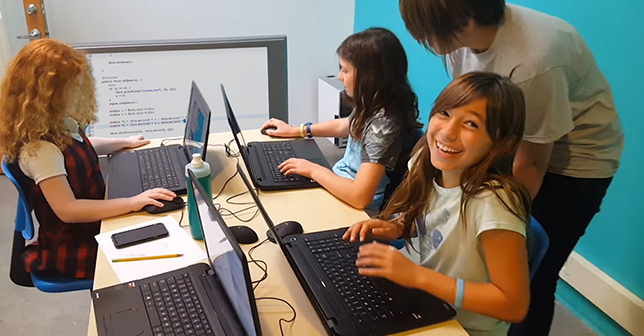 A California-based coding and STEAM camp is expanding its tech summer camps to more locations this summer — in the Golden State and on the East Coast. In Southern California, CodeREV will have new locations in Westwood, Orange, Mission Viejo/Aliso Viejo and Point Loma (San Diego). In Northern California, new CodeREV camps will launch in Sunnyside and Outer Sunset (San Francisco), West San Jose and Mountain View. The tech camp company — headquartered in Santa Monica — will also start a new location in Nantucket, MA, this summer. Previous locations in Beverly Hills, Santa Monica, Encino, Irvine and Del Mar/Solana Beach will continue running this summer. CodeREV’s mission is to get more students coding and involved in STEAM (science, technology, engineering, arts, math) activities, rather than risk losing critical skills over the summer break. The camps are geared toward first to ninth graders, and are designed to teach marketable skills like coding, robotics, higher order thinking, game development and math. 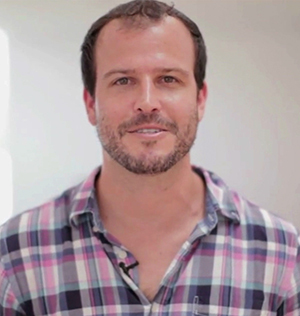 Evan Boorman, 35, started the company almost three years ago after running a successful tutoring company. He spoke with THE Journal to discuss the CodeREV camps, as well as the necessities of teaching coding and STEAM to young people. THE Journal: Why did you start CodeREV? Evan Boorman: I really saw this as a space that needed addressing, something that I believed in for a while. When I thought the culture and the winds of what people were saying started to agree with that thinking, I kind of jumped full-gear into this space. We are doing coding education, programming, engineering and robotics education for kids. We’re doing that through various formats, including the camp space. THE Journal: Describe your tutoring company experience, and how that led you to CodeREV. Boorman: I started a tutoring company directly out of college. We had 25 tutors by the time I left three years ago. We were covering mainly STEM-related subjects — science, math, the GMAT. We were helping kids to get into great colleges and do well in school. It was very meaningful. I felt like we were making a difference. Especially around the time of the recession, I felt like there were all these students we helped to get into these great colleges. Then they were graduating college and not finding good jobs. I also encountered all these friends who learned to program earlier in life. They were at a variety of different software companies — Facebook, senior engineers for BlackLine — and they were making great money and happy with what they were doing. I thought, “Why are we not teaching our kids this? Why is this not included when we’re helping kids in all these different subjects?” And I teamed up with a couple of buddies and learned to program with them as they taught me along the way, to build a website together. THE Journal: Why are you doing the CodeREV camps? Why is it important? Because it’s fun. Kids ages 6-15 are broken up into groups, based on classes that they signed up for. We have 14 different classes that are all around project-based learning. 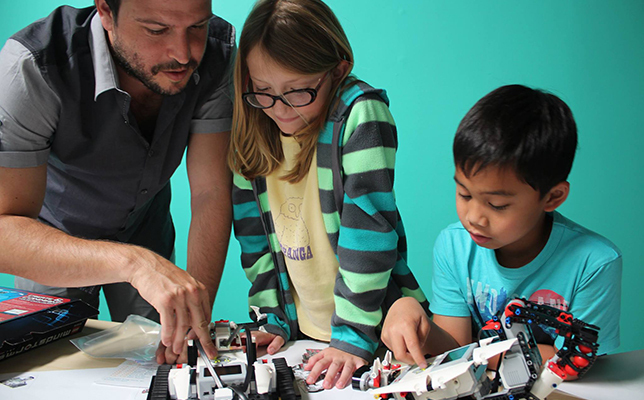 They’re building fun projects using programming, engineering, robotics or digital art. So we teach everything from app creators, where they learn to build apps, using software from MIT, to web development. Kids create their own multi-page websites. They build them in HTML and Java script. They learn practical skills — that’s one of the reasons that parents like it. Another reason it’s important is it’s fun and confidence building to create your own object, something that works, that you find really cool. And the other thing is it builds logic and problem-solving skills. The kids go through the process of working through code, customizing and making it your own. There are questions that you need to work out on your own, find the answers to. These are important skills that we try to build in education through math. We’re also teaching the scientific method — hypothesis building and testing, through hands-on, practical application. Kids care more about doing this than solving a really tough math problem [by itself], or a science experiment [in a classroom]. They’re also acquiring future skills that are in very high demand, and very likely will continue to be in very high demand in the future. THE Journal: How many kids have gone through your camps, and how much does it cost? Boorman: We have served about 100 kids. This is our third year running summer camps. It costs $549 per week. A full day is 9 a.m. to 3 p.m., or 9 a.m. to 4 p.m. They go one week at a time, and we operate between 7-8 weeks throughout the summer. Most families go two to three weeks. THE Journal: Let’s say I sign up my kid for a second week. How will I know he’s not repeating what he did the first week? Boorman: He could sign up for a completely different class. During the first week, he could learn how to build three basic apps. The next week, he could learn how to build two to three more complicated and complex apps. He could take web design and create a website. We have 3D models and animation, using Maya animation software. There’s Unity 3D game development, using the professional software, for building a professional game engine. Those are new and different types of classes he could try out each week. It’s often good to get a second week in any individual class, so kids are familiar enough with the software, and they can go a lot further with what they’re creating. THE Journal: How many teachers are in each camp? Boorman: We have between four and 10 instructors, depending on the number of students per week. We have an 8-to-1 student-per-teacher ratio, ensuring that we are able to keep the building and creating process as customized as we can, so we can answer kids’ questions. Most other programs don’t keep an 8-to-1 ratio, or anything close. ID Tech Camp does, at UC Irvine. Their cost is double our cost per week. THE Journal: What do the kids in CodeREV create? Have you ever seen anything that really impressed you? Boorman: We’ve had some kids publish some really cool games on the App store and Google Play. They came in and worked hands-on with pro game developers to publish their own games. They’ve gone on to go into advanced programs through local colleges, even though they’re 15 years old. None of the programs at their schools are advanced enough. THE Journal: Do you provide certificates, trophies or other sorts of badges for completing your camp? Boorman: We do provide certificates. But more impressive than the certificate — you get to take home what you create and use that as part of your portfolio. If you continue along this road, you should grow the number of cool things that you’ve created. When I’m hiring programmers, software engineers, they can show off on their resume. But it isn’t where they went to school. It’s “What have you made?” What have you built. THE Journal: We’ve heard a lot about the importance of teaching kids STEM and technical skills so they’re prepared for the jobs of the future. What are your thoughts about that? Boorman: It’s an exciting time in education to see schools doing so much more than what they have done. They’re using exciting new software to help make their STEM education better. Still, we’re left with Catch 22: Teachers are not really STEM professionals, but for the most part, they’re the ones teaching STEM in the classroom. We changed that model. Call me old-fashioned, but I believe in the old apprenticeship model. I believe the teacher should know the field as an expert, and having that person be the teacher is the optimal model. Maybe I’m a purist or idealist. THE Journal: Who do you recruit to instruct at your camps? Boorman: Freelancers, for the most part. They get to kind of make their own schedules. Some of them have found themselves right in between graduating from college and jumping into a software job in the fall, so this is an opportunity for them. They’re guys and gals who usually had to teach themselves programming in the beginning. Then they started learning more deeply in college. It’s an amazing opportunity to be a part of this complete revolution in education. They can pass down all the things they learned through trial and error to the kids. For many of them, they never had anyone teach them [technical skills] when they were younger. They’re people who believe in this as a calling and a passion, rather than just a job. As for me, I couldn’t believe more in the mission. I believe with every ounce of my being that learning these skills, learning them now, a) will change the way kids think about education; and b) will prepare them better for the future. I’m inspired to continue along this path. THE Journal: What are your thoughts about the gender gap in STEM skills, as well as the opportunity gap for underserved communities? Boorman: Without a doubt, those [gaps] exist. I have two daughters whom, obviously, I want the world for them. My mom was actually a computer programmer. My mom is 71 years old. It felt like she was the only woman in software, when she was working in that field in the early ‘70s and ‘80s. We’re trying to increase girls’ engagement and interest in this area. We have about a one-third girls, which I think is on the high side for camps like this. We try to make, provide examples and teachers, both men and women — that interest a number of people — both genders as well as a diversity of ethnic and economic backgrounds. We provide scholarships for our camps, based on free and reduced lunch. We also just provide a number of free, fully scholarship weeks. We’re currently running in-school coding education programs at seven under-served schools around Los Angeles — in South L.A., and a couple other areas that have similar demographics, where 99 percent of kids are Hispanic, Latino. Each of those kids — first through eighth grade — gets one class a week of coding throughout the entire school year. THE Journal: What are some ed tech products or programs you use in your CodeREV camps? Boorman: From MIT Media Lab, we use Scratch and App Inventor. We like the Kodu Game Lab. We use Minecraft. Because of its open source nature, you can do so much, as well as its circuitry — its Redstone engineering, circuitry — as well as math, engineering, science – and gamify the approach, which makes it highly engaging for kids. We use Lego Robotics. The EV3 is a special type of robot that they make and create a drag and drop programming language for. We’ll bring in a robotics expert to present an number of challenges. Kids learn the coding language. They code the robots to traverse these fun challenges.